In 2002, Al Pacino and Catherine Keener starred in a flop called Simone. In it, a computer-generated woman fools the general public and becomes a major film star. At the time, it was heavy-handed and absurd. Now, with our intricate, choreographed digital avatars often eclipsing our corporeal sacks, it’s much more believable. It’s also desirable: Who wouldn’t want to exist as the version of themselves they present online? Enter Poppy, a YouTube star who has somehow, in this age of information, cultivated an air of intrigue and mystery by virtue of not having an easily Google-able identity. She is the opposite of what you think of when you think of “a YouTube star.” Her videos are short, weird, and deeply satirical, with Lynchian synths simmering beneath a breathy, monotone voice that makes banal statements about content and being online. “I’m creating high-quality content,” she’s been known to say, a sentiment you’ll find her asserting in the below video, which serves as a fine example of her aesthetic. She’s also a pop star, currently touring North America on the strength of last year’s Poppy.Computer, which was released via Diplo’s Mad Decent label. Like her videos, the songs bristle with an amusing faux-naivety about love, identity, and the internet, though their sparkle tends to diminish it all somewhat. Ignore the lyrics and you’re listening to some pretty standard pop. And that points to the question at the heart of a a fascinating new piece from The Cut, which ponders whether Poppy functions as a commentary on fame or if she, and her collaborator, the consciously insufferable Titanic Sinclair, just wants to be famous. 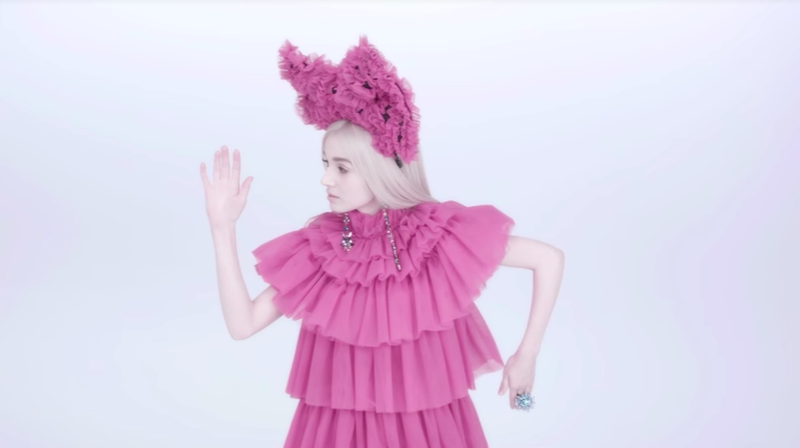 On their own, the videos have spawned conspiracy theories and Reddit threads and in-depth investigations into her identity, all of which Poppy and Sinclair indulge and lean into, as it all dovetails with the entire project’s raison d’etre. Online, our identities inevitably bend to the whims of the narrative.